Apparently 90% of all credit card machines have the default password , which happens to be: 166816 and Z66816 since 1990. 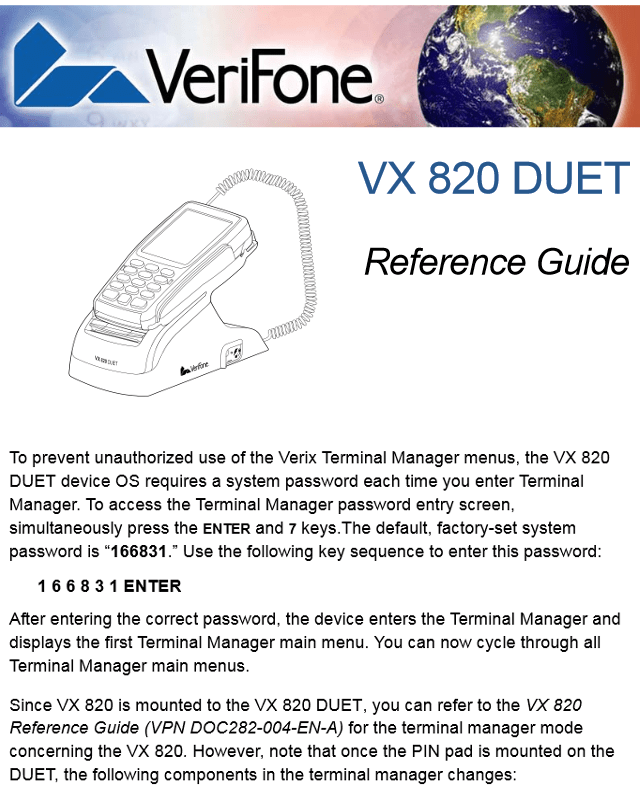 As you can see the VX820 Duet default password is 166831 (kind of similar to the VX520). and this “new” password is similar to the older model passwords as well. These passwords and settings are well known by hacker communities and are easily determined via public information. As is proven by going to the Verifone tech support site and looking around a little. What may be missing in most of the companies (90% of them according to Trustwave) is a general security mindset. Let us know if you need help with PCI compliance needs as we have done this type of work , as well as creating security policies, access policies and more. Contact me – Tony Zafiropoulos 314-504-3974 if you are having difficulties in this area of Cybersecurity. Previous Previous post: WiFi – PCI compliance: Why is it Important?